https://imgur.com/a/o4ujGwJ - For a while, I've always wanted to see a CFL Uniform Database (because of the Gridiron Uniform Database), but there has been somewhat of a dearth of information on uniforms from the team over the years, especially before the mid-1970s. With that said, here is what I have (as of right now) for my CFL Uniform Database. It covers only the seasons from 1978 to 1993 (the first U.S. season for the CFL). I hope in the future to get all seasons after 1993 and before 1978 (up to 1958, the establishment of the CFL, so I don't end up in a bottomless pit of research). I hope you all like this. If anybody wants to help me with this CFL Uniform Database, I'm all ears. Cheers. ^ Sure. As I said, I am all ears (or on a message board, all eyes). That's awesome! I've hoped for a similar CFL database like the Gridiron Uniform Database too. Good for you for taking it on. I've done some research myself, but mainly for the past 30 years. It's pretty difficult finding images for the CFL considering not all games used to even be televised. It looks like you have a good grasp on it since your info looks pretty accurate at first glance, but let me know if you need a hand. Are you also looking at doing a weekly match-up tracker? ^ No, but if someone else would like to, I'm more than happy to invite that person. I'm glad to see this. I have an off-and-on CFL fixation, so it's good to see it getting some love around here. ^ Thanks for all the links. Wikipedia has kept good track of them through the 2017 season (https://en.wikipedia.org/wiki/Third_jersey#Canadian_football). Otherwise, only Edmonton, Calgary, and Montreal have worn them all the way through 2018 (Although with a Montreal re-brand, they'll likely stop wearing theirs next year). 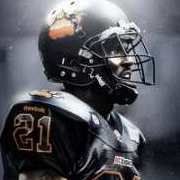 It has been brought to my attention that you are looking for help for CFL Uniform Database. I took a look at your current database and if I may offer some details that would need to be revised. I do also believe that the Riders wore solely white pants, both at home and on the road, in 1984. I'd read somewhere that those double-R Ottawa roads were silver. Could've been wrong though. Hi. You can call me Johnny. I'll be sure to get all the details corrected in the near-future; the green/white striped socks from '78 were worn in '77; in at least 1976 (and maybe before), they wore solid green socks. Yup - when the Rough Riders wore the double flaming R - they did not wear white jerseys. Road jerseys were silver in 1992 and 1993. Was not a great look in rainy weather when they got wet. ^ Possibly one of the rare examples of a non-white road jersey out there in football. 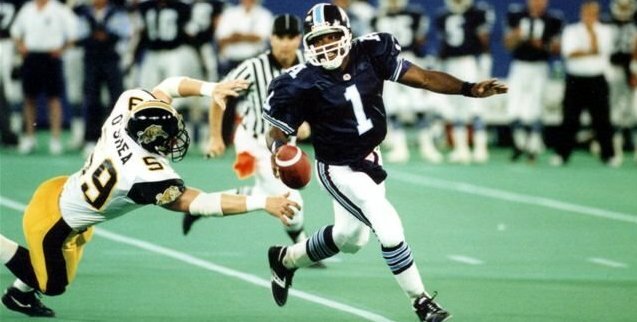 A bit more detail about the 1993 Toronto Argonauts. The team did add Cambridge (light) blue trim to their numbers in 1993. In addition, I remember part of the season they wore the Oxford (dark) blue socks at home that featured stripes. However, they did also wear the solid Oxford blue socks during the season. 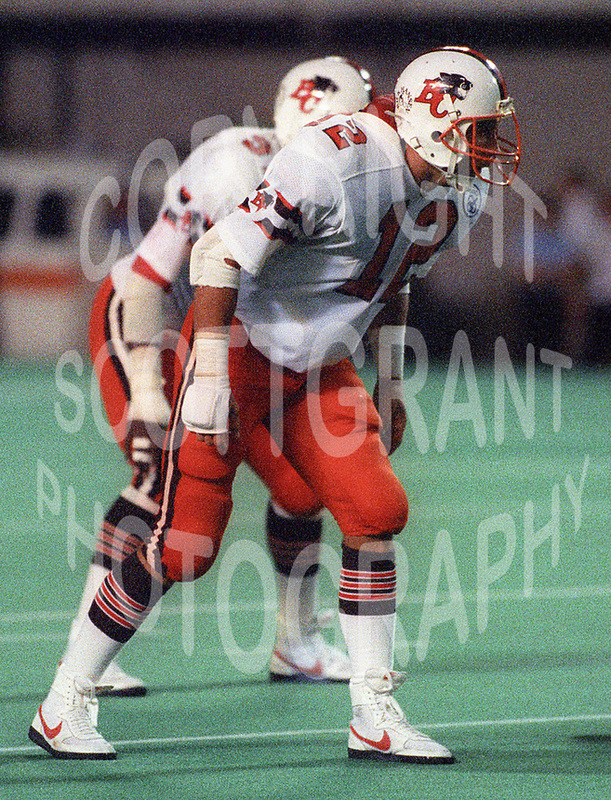 Did Ottawa wear the flaming R helmet in 1992 but not flaming R jerseys? I don't remember that at all... I thought it was flaming Rs for all of 1992 and 93. If there is a pic that suggests otherwise, are we sure it isn't from a preseason game? 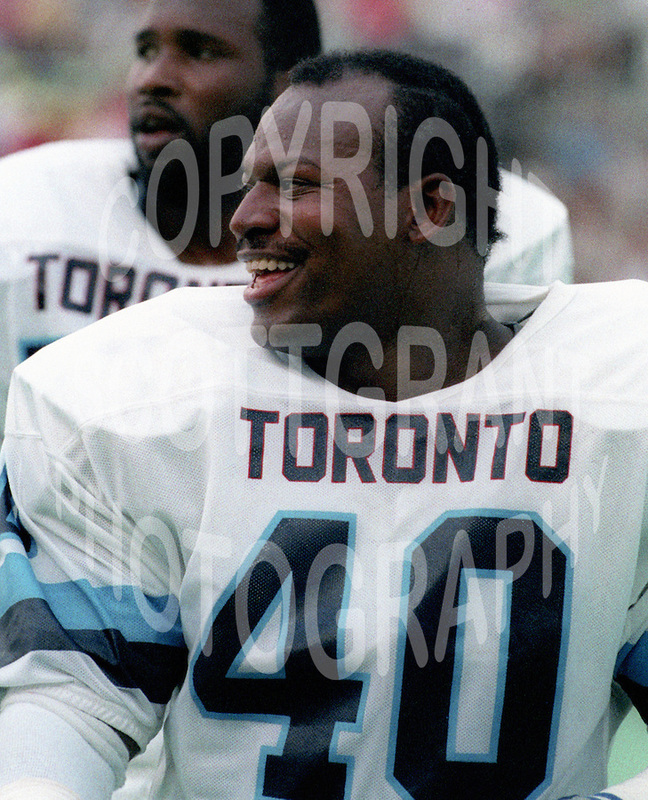 This is an extremely tiny detail and might be impossible to show in this template, but the 1990 Argos whites had red trim around the wordmark. A bit more editing detail about the BC Lions when it comes to the 1987-89 jerseys. When the Lions altered the jersey in 1987 featuring the brown trim around the numbers changing, there was also a change in the logo placement on the sleeve stripes. The 1987-89 jerseys no longer had the logo within a circle in the sleeve stripes. The logo was just placed right on the stripes without the circle around as had been the case in 1986. Case in point my model here. Canadian university football product who quarterbacked in the league, Greg Vavra. Loved the old orange and brown look! Shout out to Scott Grant Photography on these photos.